Our Broomfield tankless water heaters team realizes that your home’s water bill and energy bills can be cause for concern, especially if your home uses a lot of water. Between flower beds, dishes, dirty clothes, drinking, pet fish, showers, and a dozen other needs, it’s easy to go through water quickly, and this is especially true for hot water. For those who want to cut down on their bills though, it might be a good idea to make a few lifestyle changes; starting with our tankless water heater in Broomfield. For those who live in Broomfield an on demand water heater can make a substantial difference in not just the water bill, but on a home’s energy bills in general. An instant hot water heater tends to be more efficient than a water heater with a tank, and that means that houses with Broomfield tankless water heaters are going to pay less at the end of the month. Even better though, these water heaters tend to be smaller and more convenient for a house than one with a large tank. Using less water, less power, and taking up less room, it’s surprising that not everyone has switched to tankless water heaters in Broomfield yet. Broomfield tankless water heaters are simpler in form and function than a more traditional heater with a tank, but that doesn’t meant the installation should be done by an amateur or someone who isn’t tested in the field. That’s why it’s important to find someone who is both certified and experienced with Broomfield tankless water heater installation. Beyond having the right skills and the proper tools to put in an on demand water heater though, our professionals at Brothers Plumbing, Heating and Electric also have work that we’re willing to stand behind. If something goes wrong, whether it’s a part failing or just an installation that doesn’t go correctly, we are willing to step up, take responsibility, and make sure that everything is made right. Our Broomfield tankless water heaters staff cares about our customers and their homes, but we also have a reputation to protect and maintain. If we let something like a mistake with an instant hot water heater get in our way, then we wouldn’t be the Broomfield tankless water heater company our clients are hiring to make sure their homes are as comfortable and cared for as possible. 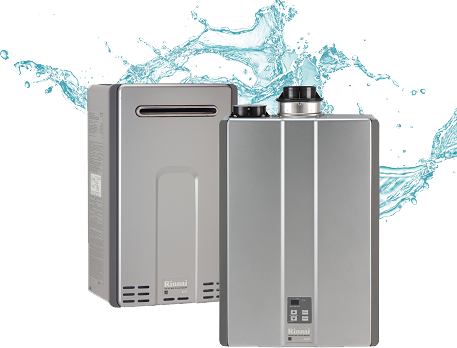 We’ve been in business for more than 30 years and were among the first to realize the potential of operating a tankless water heater service in Denver and Broomfield. Our guarentee is that “If you’re not happy today, you dont pay!”, which is why we’re the top Broomfield tankless water heater company.